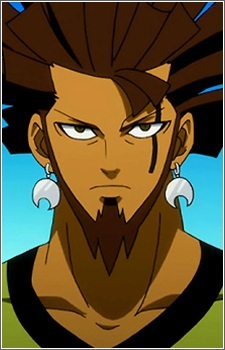 Azuma is a member of dark guild, Grimoire Heart, and one of the Seven Kin of Purgatory. His Lost Magic is Great Tree Arc, a form of magic which allows him to manipulate and produce trees, as well as to create explosions by condensing the power of the earth inside the fruits of such trees. After he defeated by Erza his body transforming into a tree. He states that's a side effect of overusing his Lost Magic.